Technology that's at the forefront in fighting allergy symptoms! Dallas, TX (March 29, 2019) — April showers, bring May flowers! Sounds great unless your one of the millions of Americans who suffer from seasonal allergies each year. According to the Centers for Disease Control and Prevention, allergies currently rank 6th on the list of chronic health complaints in the US with an annual cost in excess of $18 Billion. With allergy season just around the corner, Americans are going to be faced with finding sinus relief that is not only effective, but won’t break the bank! Co-Founder and Executive Officer, Charlotte Wenham has her Master’s in Nursing and has worked in partnership with the Inventors of CLEARinse- an over-the-counter nasal irrigator and aspirator that is at the forefront of innovation for allergy mitigation and symptom control. 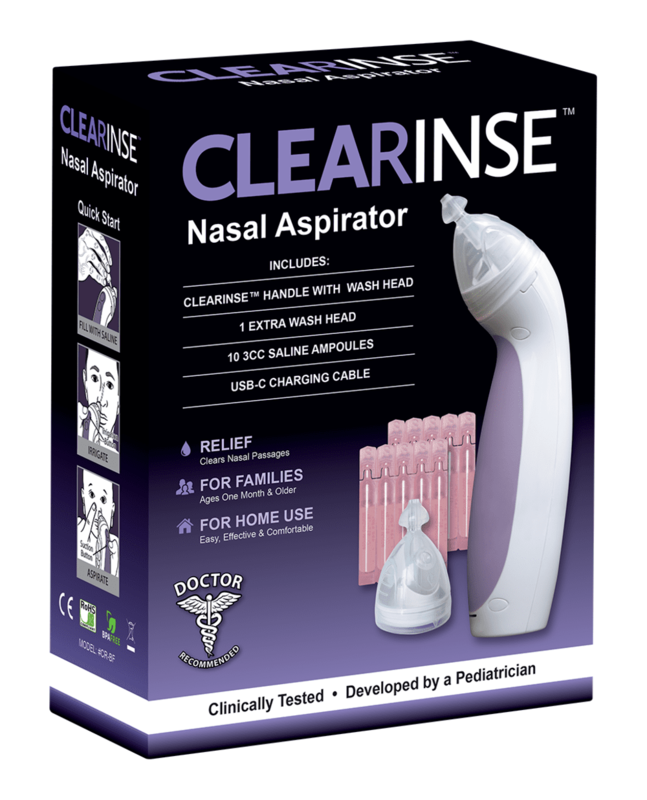 CLEARinse has proven to reduce congestion caused by allergies, environmental pollution, dry air, cold & flu, sinusitis, post nasal drip and pregnancy rhinitis. It was developed by an ER Pediatrician and is the only aspirator/nasal congestion relief that meets clinical guidelines for saline and safe suction. Thank you for your consideration, I look forward to working with you and your team! pNeo is a business accelerator that invests in and drives unique company brands, focusing on the baby and healthcare markets. We nurture innovations through the entire product life cycle, from inception and development, all the way to retail. pNeo prides itself on offering exceptional products to the market that meet customer demands, while bringing entrepreneurial dreams to a profitable reality.